Change is in the wind. Transition is a process of letting go in order to grasp the new thing. Sometimes the process is swift and decisive, leaving us reeling and wondering where to grab on to something – anything – simply to stay oriented. Or the process can be slow, planned and deliberate. And we are still left reeling and wondering, reluctant to let go of the familiar. Observe this phenomenon in John 3:22-30. John the Baptist has been preparing the way for Jesus of Nazareth. The time has come to pass the baton, but John’s followers are reluctant to switch allegiance. John is firm that the time has come. He must fade out in order for Jesus to fade in and set about what he has come to accomplish – their common goal. There have always been those who point the way – often only to the next marker, for even they cannot see beyond the fog. John’s gospel (ch 1:6-8, 19-28) introduces us to one who points to the source of life and light. Such pointing often leads to confrontation with those who are committed to pointing only to the next visible marker – often in the shape of short-term, easy-fix, immediate satisfaction goals. 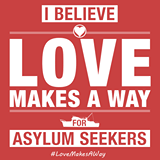 Witness the peaceful protests by fifty Australian Christian leaders yesterday concerning children in detention and the imminent deportation of 25 infants to the hellish conditions on Nauru. Temporal political point-scoring may be a desirable outcome for a nation that has lost its way. Pointing to the Logos, the source of light, life and truth, illumines the fact that, no matter how attractive these short-term markers are – they are going the wrong way. John the Pointer (aka the Baptist) was an irritation to leaders whose hearts were set on their markers then. It seems that Christian pointers in Australia, who submit to arrest and even strip-search to highlight the way illuminated by the Source, are as much an irritation today. Zechariah’s son certainly made up for his father’s speechlessness before John’s birth! John’s call is to repentance – an intentional reorientation of heart, soul, mind and action. Zechariah’s silence had been the stillness before the storm that sweeps clean. 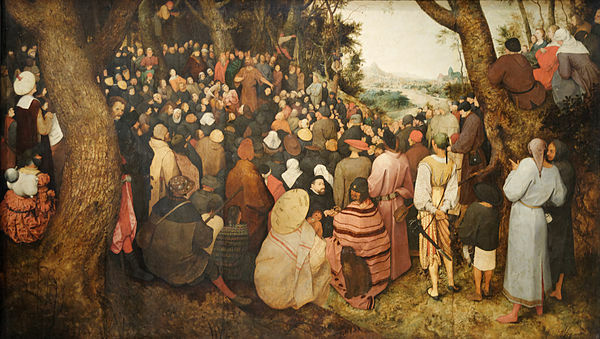 Such was John’s magnetic appeal that crowds went out into the wilderness to hear him. His advent voice was a true call for preparation – we need to be “tuned in” and receptive to truly appreciate what is about to happen in our midst. Apparently so. We read on and find that when he emerged from the sanctuary, people wondered at his speechlessness and realised he had been visited by some divine encounter. 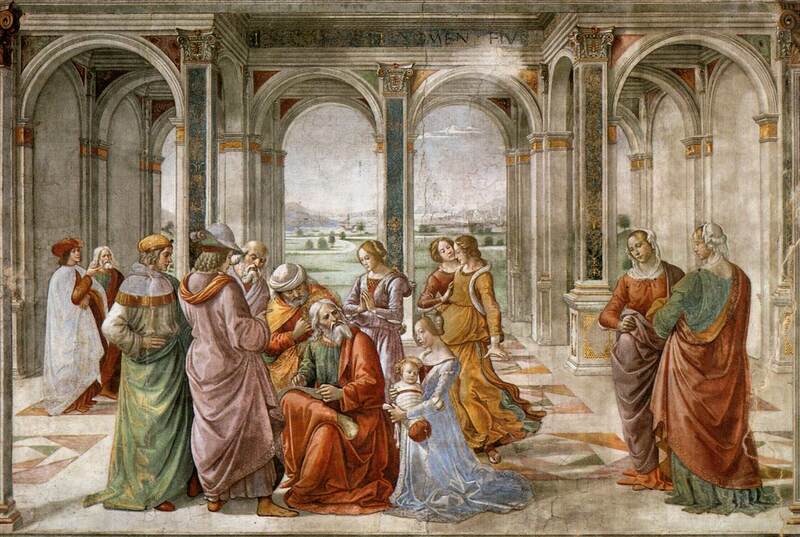 He kept serving the temple in silence until it was time to return to his home – to await the birth of his son whom the angel, Gabriel, had directed him to name John – already marked as special by Zechariah’s community because of the speechless father that had emerged from the sanctuary that morning. I love preaching at my church – it opens up so much thoughtful dialogue. This week we tackled the Advent theme of peace in relation to charitable giving. It had been the week of a photo of a NYPD cop buying a pair of shoes for a homeless vagabond. It had gone viral. Something of the juxtaposition of officialdom, destitution and the approaching season of good will touched our collective hearts. Within a few days investigative journalism had done a number on the homeless guy, raising cynical questions of his worthiness and the naivety of the “do-gooder” charity dollar. But Advent Peace, announced in the words of John the son of Zechariah, comes in the phrases “Prepare the way of the Lord… make his paths straight…” – and those who hear have to work out an immediate response when need confronts them. Will I be ripped off? And if so, does it matter? The question exercised our very generous congregation somewhat as we examined the protective measures in our charity giving and whether they diminished or enhanced the spirit of hospitality without which charity is simply an exercise in condescension. This was the topic of post-sermon coffee conversations. James Doty: To put it in context, I had made a donation, a significant donation, to a charity that had misused my donation and I was so infuriated by that that I actually sued them. At the time this incident occurred I’d just left this lawyer’s office, and I was actually chastising myself because I gave this money away, these people misused it, am I just a fool? I always believe in people and I’ve been taken advantage of and now I have to deal with this situation which is creating my own stress. And I was walking along in this not so great neighbourhood with my head down actually contemplating about how foolish I was, and I was tapped on the shoulder by an Afro/American young man in his 20s who was not dressed particularly well, and this was in an Afro/American area, an area of poverty. And whether any of us like it or not we have prejudices and my immediate response was this is probably a drug addict who’s trying to get money, who’s just going to take it and spend it on drugs. And the individual said to me, ‘You know my car broke down and could you give me money for the bus, so I can take my mum and I so we can get home?’ And I saw no mum, I saw no car. So now I’m stuck with another dilemma because I’ve just beaten myself up for giving this money away and I’ve got this kid in front of me who I’ve already decided is a drug addict and I think to myself for a few seconds and I go, you know, am I going to believe in the innate goodness of people and just give him the money, and giving him the money regardless of how he uses it, is it going to change my life? No. You know, so it reinforced of course my basic belief in humanity, you know it brought a tear to my eye, but I think you can always try to keep an open heart as much as possible. Peace is always linked with the figure of John, the son of Zechariah (aka John the Baptist) during the Advent season. The “peace” associated with his stormy transforming ministry that called for repentance and cleansing is based on the Hebrew concept of shalom – wholeness in relationship with others, oneself and the Divine. Donating a pair of shoes or a bus fare, no questions asked, may be naive in the eyes of the cynical – but it may also be a nudge from the Divine! Consider the elements of true peace however, based on the Semitic languages shalom (Hebrew) or salaam (Arabic and its derivatives), alluding to wholeness in relationship with self, others, the environment and the Divine. It seems to me that one has to navigate some conflict to achieve each of those summits. Well known New Testament scholar Bill Loader, at the local Uniting Church commissioning service for their local minister, noted three surprises in Mark’s use of the John the Baptist episode to open his discussion of what the “good news” of Jesus was all about. I summarise and paraphrase, hopefully accurately, his points as I heard them. But go here for Bill’s online commentary on this passage. 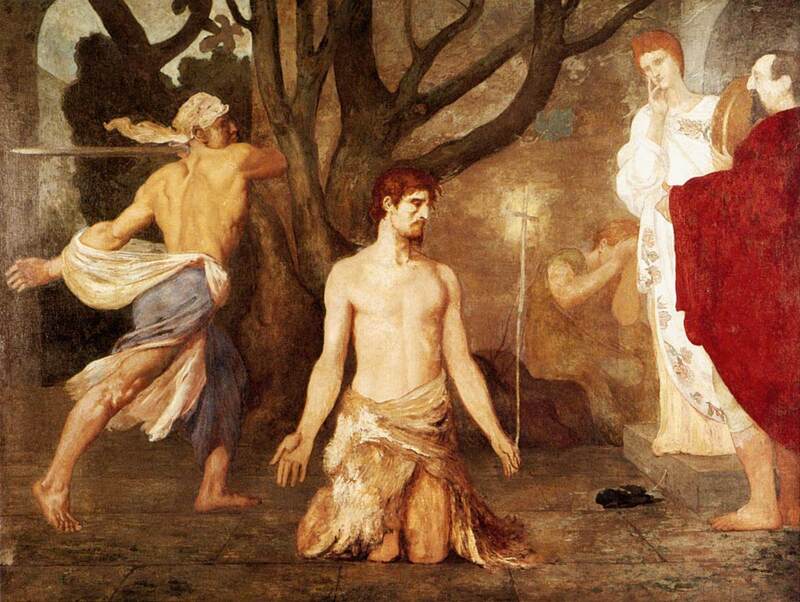 First, there is the lack of apocalyptic judgement often associated with John the Baptist’s ministry. Change is in the wind, people are being called to change, but the use of Isaiah’s words are couched in the language and context of comfort and strength. The world is full of people bearing a heavy weight of oppression , poverty and injustice, but change is possible and imminent. The second surprise is the universality of John the Baptist’s message. All are invited to the baptism he offers – poor and rich, sick and well, Jew and Greek, peasant and soldier. There is no particularity, the invitation to change is for all. It begins with “repentance”, literally “turning to face a new direction,” or we might think of starting again with a blank page. The word used by Mark is metanoia (Koine Greek) “renewing of the mind”. The third surprise is the incompleteness of his ministry – forgiveness is a beginning, but completeness comes with one who baptises with the Holy Spirit and who demonstrates the presence of God’s reign amongst us through the ministry of the Spirit. Those who wear the name of Christ must get past acting as if it was only about forgiveness and get on with the Spirit ministry of teaching, reconciling, healing and helping build a world that is whole. It sounded to me a little bit like shalom, salaam, peace.